Information from "Come into our Heritage RM of Argyle 1882-1982"
United States Census, 1870. Visit Family Census page here. Uncle John Taylor and Aunt Elizabeth [Eliza McNeil] came to the rescue and took the girls to live with them in Haliburton, Ontario. When their father remarried, Carrie and Anna returned home, Susie and Jane remained with their aunt and unclie and Elizabeth married. The next few years saw Carrie attend High school and graduate as a teacher. When she was 16 her 'hair went up and her skirts were lowered' and she went out to teach at a country school. She also apprenticed as a dressmaker, soon becoming good at sewing and cutting out garments which required much tucking, ruching and gathers in those days. On a trip to visit her aunt, uncle and sisters in Haliburton, the last night of the journey was spent at Kinmount. Next morning at breakfast, the waitress drew her attention to the window, and looking out, she saw an Icelander for the first time, a beautiful young woman with long golden hair and pink and white complexion, wearing a simple blouse and dark skirt. This happened to be Gudney, wife of Fridjon Fridrikson. She was to become Carrie's lifelong friend. As she continued on her journey, little did Carrie realize how much this encounter would change her life. Her Uncle John was doing missionary work for the British Bible Society [Learn more at Wiki] and when she told him about the Icelanders at Kinmount, he was very interested and lost no time in going there to see if he could be of any service to them. He met Fridjon Fridrikson and Sigtryggur Jonasson, and was much impressed by the sincerity and honesty of these fine people. Stone Marker for Fridbjorn Frederickson and family , brother of Friðjón at the Grund Cemetery, Manitoba. >>She [Caroline] was, of course, the first non-Icelandic speaking person in Canada to speak Icelandic. New text from above was recently sent to Roy which has not appeared in any books. Caroline Taylor, better known as Carrie, was the niece of John Taylor who was doing missionary work with the British Bible Society, and Carrie who had met the Icelandic people including Sigurður, asked her uncle to try to get financial help to see the Icelandic people through the winter. APR 2012: Roy spotted Schultz in previous paragraph. The Schultz Bros. has adjoining land to Sigurdur. Interesting. Caroline also wrote a poem about her children, then rewritten. 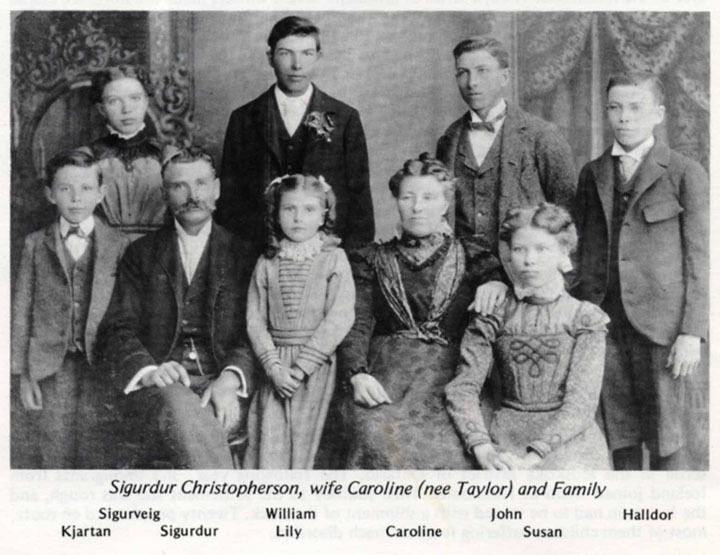 Sigurður and Carrie were married January 20, 1877. Because the Icelandic settlement was still under quarantine for Smallpox they stood on one side of Netley Creek, the quarantine line, and the minister stood on the other side. There they built a home and called the farm Grund. They had the post office and later a church was built there. The Grund church is now a heritage building. Sigurðr and Carrie were very active in the community. Carrie chose the name for the town of Baldur, and there is a Carrie Street named after her. Sigurðr made many trips to Iceland as an immigration agent. He brought out all his brothers and sisters and his then blind mother who, even though she could not see the oak trees, was very interested in them, also the pumpkins and vegetables in the garden. Later Sigurður set up a real estate and insurance company with Carrie as secretary. Caroline TAYLOR Christopherson becomes the mother of father-in-law of grand niece of Skafti Arason. See the chart for yourself . That, and being neighbors for a long time. 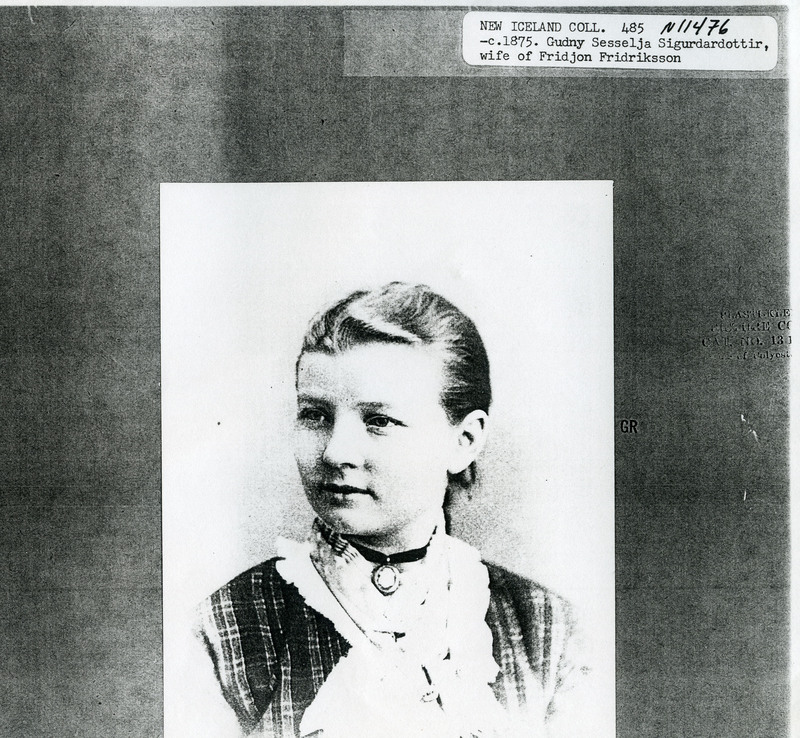 "Skafti Arason (1850-1903) was Caroline and Sigurdur's neighbour in both New Iceland and Argyle . Ryan lists their Husavik land parcel in Gimli, MB. There are many more pages that need to be uploaded to here if family approve. During the summer Living Hillegeist was helping with a garage sale in Surrey, BC, someone had left a box of books to sell, mostly paperbacks. She loves books and was flipping through them when sheI came across one that turned out to be a British and Foreign Bible Society bible. She flipped the cover open and noticed that it was written in and was very old, so she bought the book for 25 cents. She did an extensive search on John Taylor, then Sigurdur in Surrey, BC. Living Hillegeist also tried to locate information on the person that the book was being given to, Kristjan Helgason. So far I am only able to establish that Kristjan was probably the son of Helgi Johannes Sigurdsson, born 1948. Last know information that I have found is that Helgi Sigurdsson migrated to Foam Lake, Saskatchewan. Here is some research done by Living Hillegeist. Other than the fact that the Foreign Bible Society in England and then Canada was NOT formed by John Taylor, it formed before his birth, she has very good details. Translated inscription written by Carrie Taylor was forwarded by Nonnie Jonsson, and graciously translated by Kommi. This looks like it might be him. If he was born in 1861 then he would have been about 15 years old when the book was given to him. In 2009, Living Hillegeist was trying to track down the family, to give the bible to his descendants. Nonni Jonsson has relations with the family, yet no follow up. Gíslína Gísladóttir Olson was born October 3, 1868 either at Hóll or Finnstaðir in Köldukinn, she was 7 when she came to western Canada. She married Guðmundur Eyjólfsson during the winter of 1887-88. It is said to have been the first marriage that reverend Magnús J. Skaftason performed in Canada, but Church books from that time are lost and the date of the marriage is not known. They had six children: 1. Pálína Aðalbjörg married to Helgi Benson 2. Guðrún Sigríður married to B. Andersson 3. Caroline (Carrie) Svanhvít [Snow white], married Óskar Paulson master builder in Charleswood, a suburb of Winnipeg. Óskar is the son of Pétur Pálsson (Paulson) from Ánastaðir in Loðmundarfjörður in Norður-Múlasýsla. He was among the early pioneers of New Iceland. Hi lived at Jaðar. A giant of a man and tough. Carrie Svanhvít is named after the renowned Caroline Christopersson, wife of Sigurður Christophersson, the famous pioneer, she is commonly called Carrie. Gíslína was her neighbor and friend in Argyle. She is also named after Svanhvít the sister of her father, who died suddently near Glenboro in September 1894. 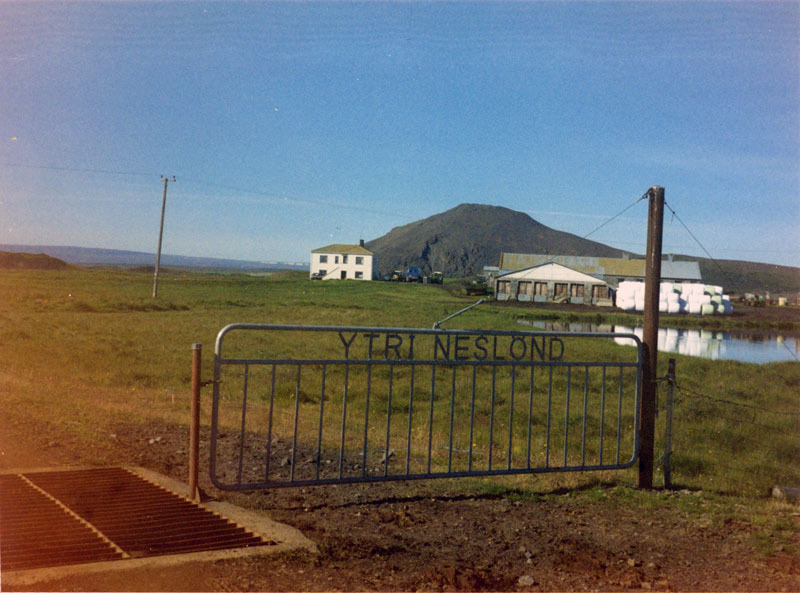 This beautiful name 'Svanhvít' was not uncommon among relatives on the east coast of Iceland. 4. Guðmundur Franklín, married to Eyjólfína Árnadóttir 5. Arthur Eyjólfur never married. 6 Lára, married Mr. Webb. Gíslína lived with them. There is NOTHING more that I hate, is Archives that charge you for images! Especially Universities! If you cannot figure out how to make old vintage photos available for FREE online, than your doing a dis-service to all of mankind. If it was not for scum like Google, which steals everyones photos, 90% of my collections would be available to view and download, long as credits remain with them. Caroline Christopherson and others, were Delegates in Winnipeg regarding the Lutheran Church. For text version of the names, visit the Uniiversity of Winnipeg, Line 5, Image 2978 here. With the image here courtesy of cousin Carol, you won't have to pay them a dime! Should note that her sister-in-law, Halldor Briem's sister is front left. See Susie Briem's page for more on them. More on their Grund Church, R.M. of Argyle, Manitoba. Wives Of Delegates Attending A Conference Of Lutheran Churches Of Western Icelanders Held In Winnipeg In 1891. Back Row (L- R): Mrs. Johann Briem (Gudrun - April 17,1863 - April 18, 1937), Mrs. W.H. Paulson (Jonina Margaret - February 14, 1862 - April 1894) , Mrs. Arni Frederickson (Sigubjorg - August 1861 - July 1941), Mrs. H. Hermann Magnea - January 1846 - February 1920), Mrs. Jon Bjornson (Helga - January 1842 - 1932), Mrs. S. Christopherson (Caroline - May 1856 - 1923). ​ CARRIE'S PASSING (1923) Added by skitang6 on 11 Nov 2007 Information from "Come into our Heritage RM of Argyle 1882-1982" Carrie died on December 9, 1923. The day of her funeral was like a summer day, sunny and warm, 'just like Carrie's character', it was said. She is buried in the Grund Cemetery in Argyle Municipality next to her husband [Sigurdur]. Roy and Mike pair their respects in AUG 2013. We went to the Grund Cemetery twice, which is mapped on the Argyle District page.